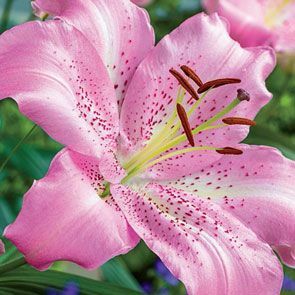 Savor the sweet scents and beautiful blooms of a variety of lilies with our Oriental Lily Collection. Featuring two bulbs each, this collection includes the snowy white Casablanca and the soft and lovely Pink Pearl, which add to the drama presented by the frosty pink and sunny yellow hues of the Pink Mystery, the vivid rose and hot pink of the Paramount, and the stunning Stargazer--a riot of deep pink speckled with rose and edged in white. Known for their heady fragrances, these Oriental lily flowers will have you stopping to smell more than just the roses. Tolerant and easy to care for, Oriental lily bulbs do well in a variety of soil types, including clay, loamy and sandy soils. Hardy in zones 3--8, they flourish in full to partial sun. 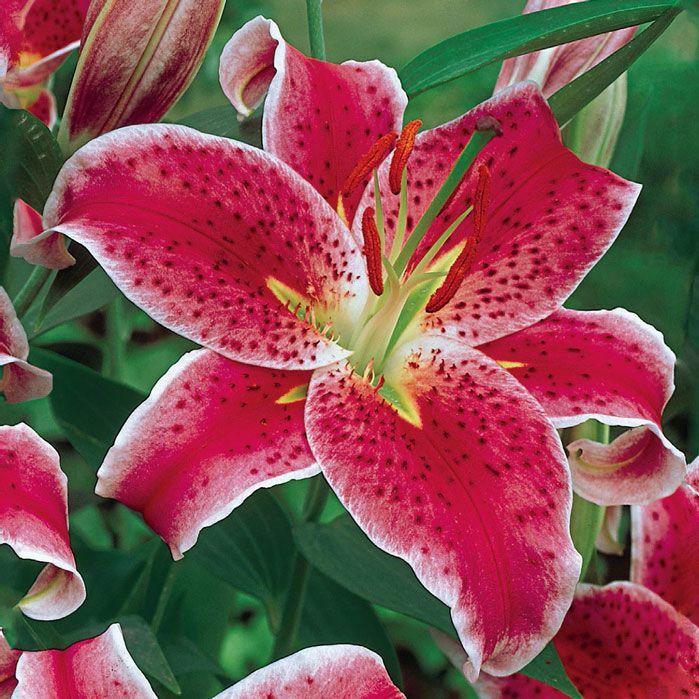 Plant your Oriental lily bulbs in the fall, about 6 inches deep and 9 to 12 inches apart for showy mid- to late summer blooms. When the season is over, be sure to leave some stem and leaves on the plant until late fall to allow it to store nutrition for next year's blossoms. Gorgeous in containers, walkways and beds , these 3- to 4-foot stalks and bountiful blooms also make excellent fragrant cut flowers. 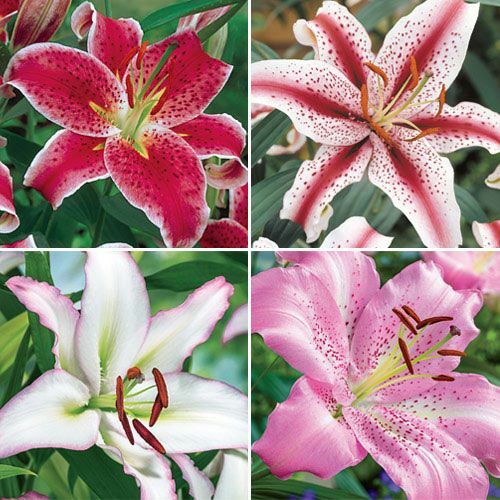 Enjoy flowers that smell as beautiful as they look with this Oriental Lily Collection. Nothing in the garden looks lovelier or smells sweeter. 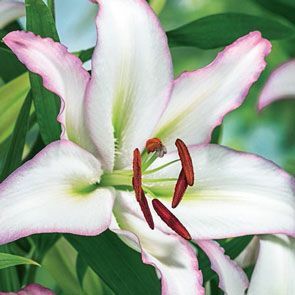 With their breathtaking beauty and sweet perfume, Oriental Lilies are the perfect choice for adding showstopping appeal to your garden or landscape. Appearing at just the right time of the season to fill in bare areas left behind by early-summer bloomers, Orientals provide big, gorgeous blooms in a host of glorious colours. Plus, they are tops in hardiness and garden performance. Favoured by florists for their looks and longevity, Oriental Lilies are often used in impressive bouquets, and command a hefty price. Now you can create artistic arrangements from your very own garden. Brasillia:- Distinctive and exotic, this graceful beauty features pure white blooms highlighted by bold pink edges and bright green throats. Take in its sweet fragrance as you pass by and enjoy the beauty and charm Brasilia brings to the garden. Makes an excellent naturalizer. Stargazer:- With its exotic good looks and heavenly fragrance, Stargazer makes a real showing in the garden… or in a vase. 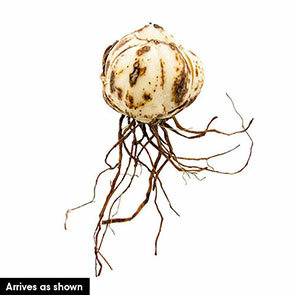 Huge, 6–7" flowers appear in abundance and turn their gorgeous faces to the sky. Their brilliant pink petals are liberally freckled with dark pink and feature snowy-white edging. Josephine:- A delicate pink beauty, Josephine makes a wonderful addition to any landscape! Imagine masses of fragrant, pale pink blooms gracing your garden, each one adorned with brilliant red speckles and pale pink bands down the centre of each petal. Flowers are large and impressively showy. Dizzy:- A real knockout in the garden! 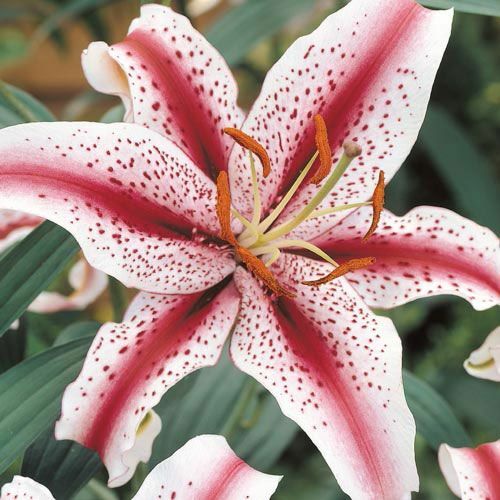 Magnificent Dizzy bears large, 8" blooms of white highlighted by a dramatic red flame and a generous sprinkling of freckles. This eye-popping beauty emits a delightful fragrance throughout the area, and creates bouquets that are simply divine. Pruning After blooming, cut the withered flower at the top of the stem to prevent seed production and then allow the leaves to wither and turn brown before removing them. The green leaves provide nourishment for the plants.